I am definitely, 100%, not a morning person. If you leave me in a dark room with a cozy blanket, I’d probably sleep for 14 hours straight. I’m the type of person who needs to set an alarm or else I’ll wake up at 3PM in the afternoon. (To be fair, I’m a bit of a night owl.) I love my bed, I love sleeping, and I absolutely hate waking up to an alarm in the morning. But the reality is I can’t sit in bed all day, I’ve got to get up at some point. With this, I introduce the sunrise lamp. A sunrise lamp? Probably one of the more unique items I’ll review on this blog, but one that’s quite interesting none the less. I recently purchased the Philips HF3520 Wake-Up Light on Amazon, and quite a number of you have requested a review! So here I am today, sharing my thoughts, opinions, and critiques to help you make a decision, or figure out why so many bloggers are raving about sunrise lamps! 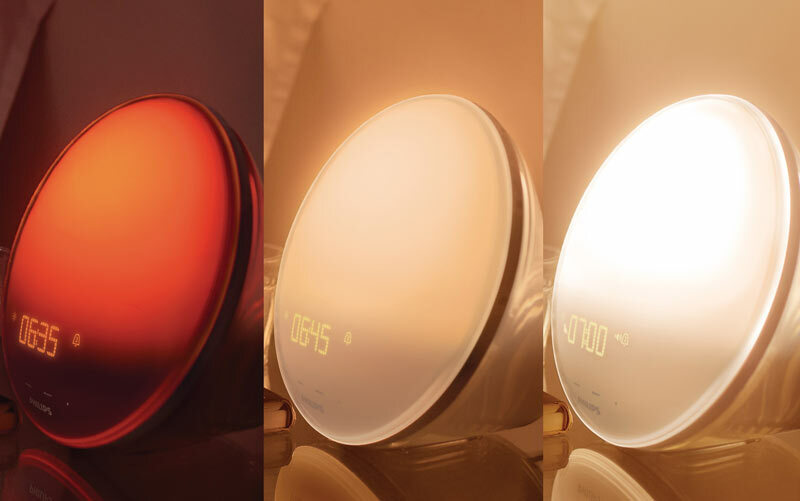 A sunrise lamp is a lamp / clock hybrid. You set an alarm, and a set amount of time before the alarm goes off, the light will turn on and increase in intensity, kind of like a natural sunrise. At the same time, your alarm sound (sound effects, music, or the radio), will also increase in volume. In this effect, you’re eased into waking up naturally. Gone are the days of jolting awake in a dark room by a sharp alarm sound! From the Philips website – Coloured Sunrise Simulation wakes you naturally. Inspired by nature’s sunrise, light gradually increases within 30 minutes from soft morning red through orange until your room is filled with bright yellow light. This process of changing an increasing light stimulates your body to wake up naturally. By the time light has filled the room your chosen natural sound completes the wake up experience, leaving you ready for the day ahead. 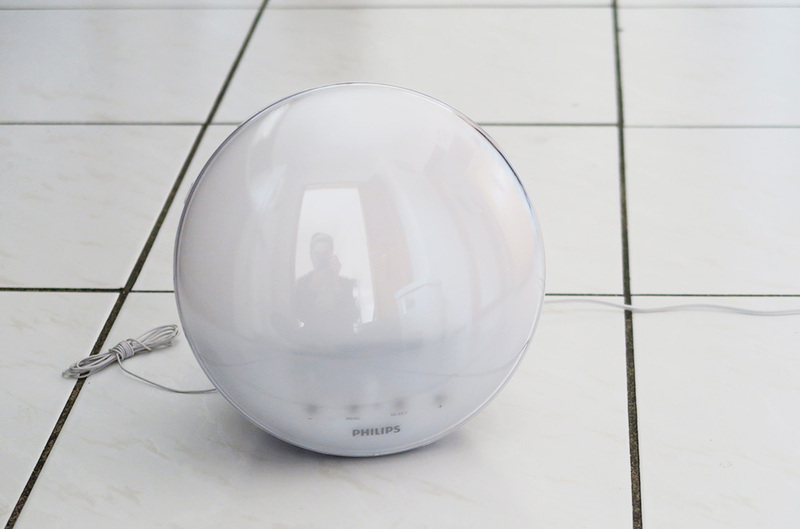 The Philips HF3520 Wake-Up Light is a round, speaker shaped clock. It features a rounded face and is made of a hard plastic. There is a small display with glowing orange digits near the bottom which works as the clock’s interface. There are buttons near the screen (touch-activated) which control the alarm settings, as well as physical buttons on the top for activating the lamp, changing volume, etc. The touchscreen buttons are a bit weird to use at first but it’s pretty straight forward. From left to right, there is the button to activate alarm 1, brightness (-, turn on lamp, +), volume ( -, turn on radio, +), alarm 2, and sunset lamp. My critique with these buttons is that they are very smooth and are not raised, making it quite difficult to distinguish buttons from just touch… This can be quite tricky when you’re trying to change the buttons in the dark. The Philips HF3520 Wake-Up Light has two customizable alarms that you can set different times/ brightness/audio. In addition to the alarm settings, you are also able to adjust the regular lamp and clock settings. There are 5 built in nature-inspired audio options as well! The sound effects you can choose from are birds singing, birds + music, ocean waves, soft music, and forest sounds. These are all super relaxing to wake up to, especially when it increases slowly from silence. You can also choose to wake up by FM radio. According to the website, the brightness of the display adjusts itself according to the brightness of the room. If the bedroom is filled with light, the brightness increases to keep the display readable. When the bedroom is dark the brightness dims so it doesn’t light up your bedroom when you are trying to sleep. 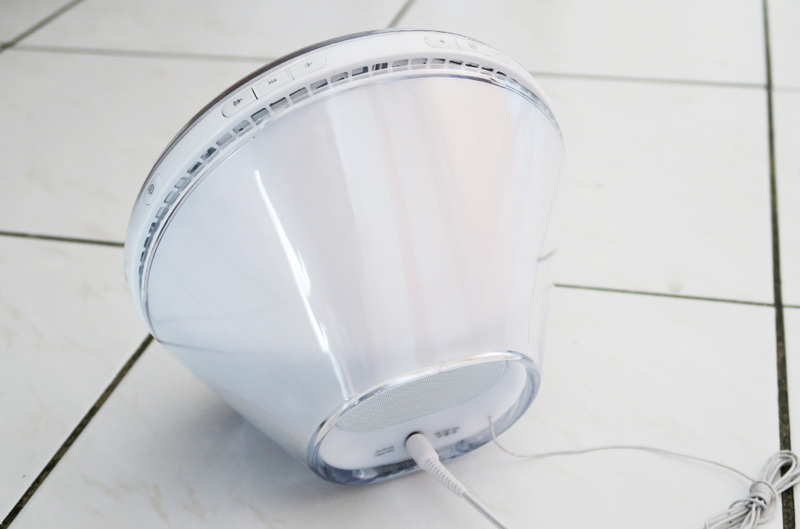 The Philips HF3520 Wake-Up Light can be used as a standalone lamp as well! You can adjust the brightness settings for the lamp, ranging from 20 (full brightness, yellow-toned light), down to 01 (dim, orange-toned light). These options are also customizable for individual alarm settings – for example, my lamp is usually set to a 15 when I wake up. It’s still bright, but not as intense as a 20 because the lamp is on my bedside table and I don’t want to be blinded when waking up. There is also a sunset option, which fades from bright yellow light to red – this feature is supposed to help you go to sleep. I love using this function in the evenings to help me wind down. 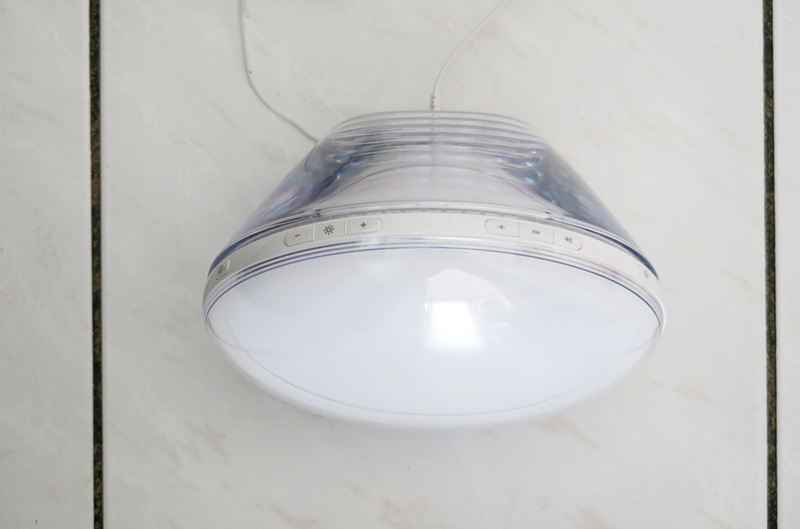 You can change the speed in which the light dims – between 10 – 45 minutes. I usually it set for 45 minutes. I love this feature because the dimming is so subtle, and the fade from yellow – orange – red light is easy on the eyes. Overall, I love this sunrise lamp. I’m the absolute worst at waking up in the morning, and this lamp makes that whole process a lot more relaxing. I’ll also note that I, like many others, suffer from seasonal affective disorder during the winter. I feel tired, sluggish, and depressed during those dark days – the sunlight definitely has an impact on my work ethic and overall mood! I haven’t used this in the winter months yet since I only bought it a few weeks ago, but I’m sure it’ll help. If you’re thinking about getting one, I highly recommended. It’s prettttty pricing for a clock, but it’s definitely an investment piece. I mean, it’s something you’re likely going to be using every day, because waking up is a daily practice! I bought mine on Amazon for $119.99 CAD – I’d suggest doing this so you can test it out for a bit, and return it if it doesn’t meet your expectations. Are you a morning person? Have you ever tried a sunset lamp? 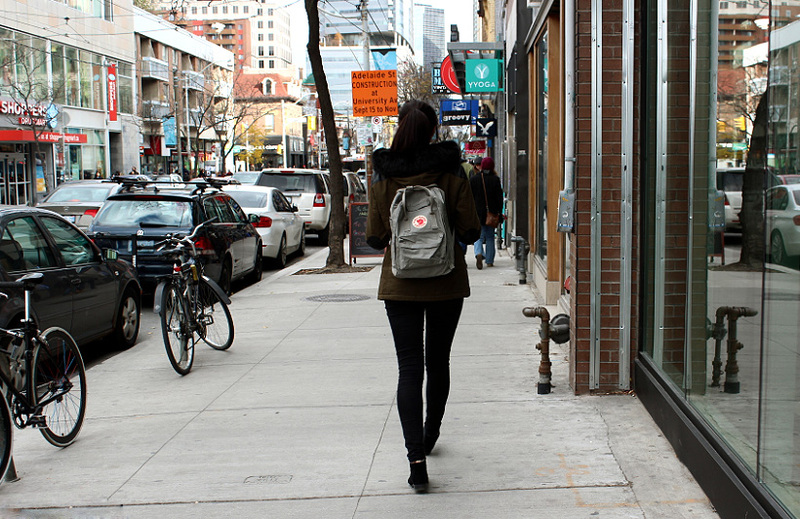 Have you suffered from the winter blues? 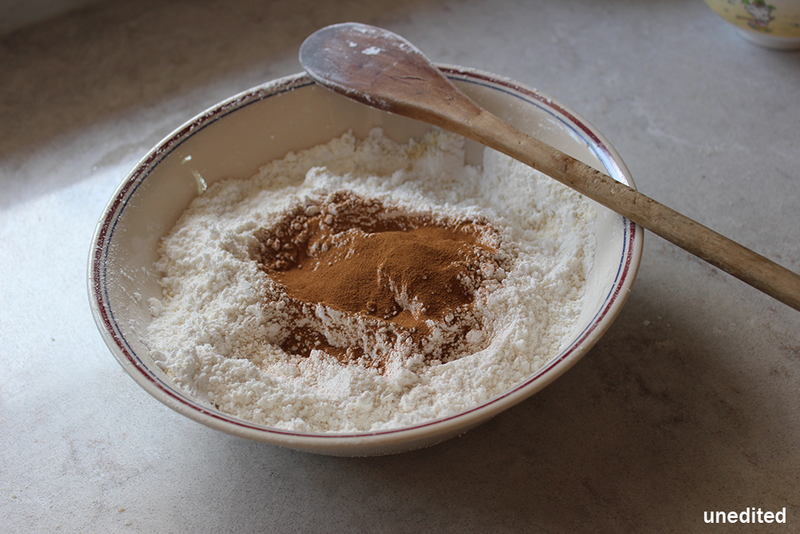 I often get questions about how I edit my cosplay and blog photos…whether that be fashion, food, or product photos! 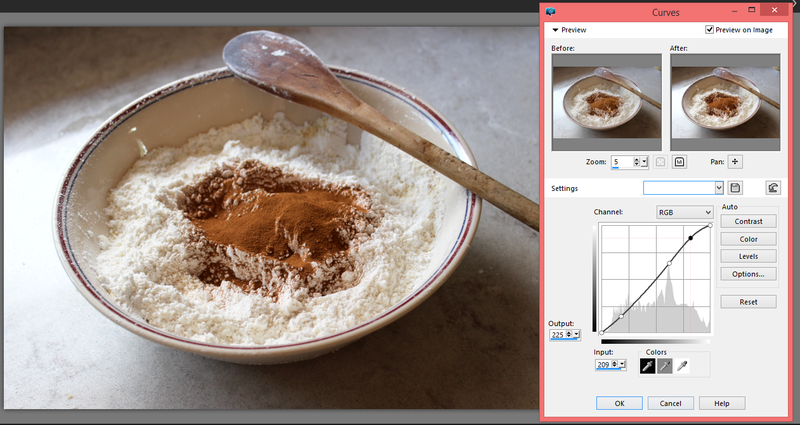 Thanks to the partnership I have with Corel on this post, I am sharing tips on photo editing using PaintShop Pro X8! PaintShop Pro X8 is basically a fast, easy, powerful, and affordable photo editing program with almost all the power of Photoshop at an affordable price! Adobe is the big name in the industry for creative editing programs and the one I’m most used to, but my dad favours Corel and subsequently gave me lessons on how to use the program haha! The roles have reversed… It’s very easy to pick up though, and has a lot of creative options. I have a few different items in my photography/ video kit that I use. I am currently using the Canon T3i as my DSLR camera. I typically pair it with the 18-55 kit lens, and the 50mm f/1.8 portrait lens. I use my DSLR and a Nexxtech for video and fashion/outfit posts! I have a set of Cowboy Studio lights which I use to light my videos and sometimes product photos if I don’t have good indoor lighting. For photos of makeup, food, and anytime out and about on the streets, I use my Canon G7X, which is a micro four-thirds camera! (Think of it as the lovechild between a standard point and shoot and DSLR)… Many of the DSLR capabilities in the body of a point and shoot! Very handy and easy to carry around. 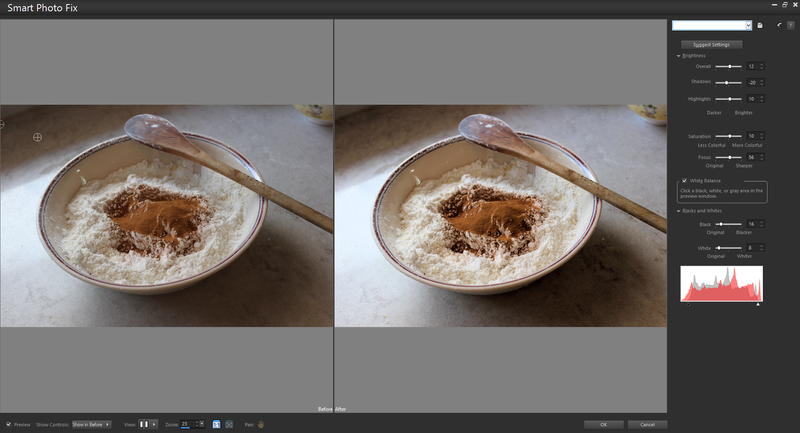 Although photos can still look great straight from the camera, editing makes quite a noticeable difference! This is the raw photo from my camera… It looks okay, but there’s a lot that can be done to improve it! The same photo, with increased brightness and contrast, tweaked levels and curves, and a boost in saturation! Makes a bit of a difference, doesn’t it? Now, I’ll be showing you how I edit photos using Corel PaintShop Pro X8! 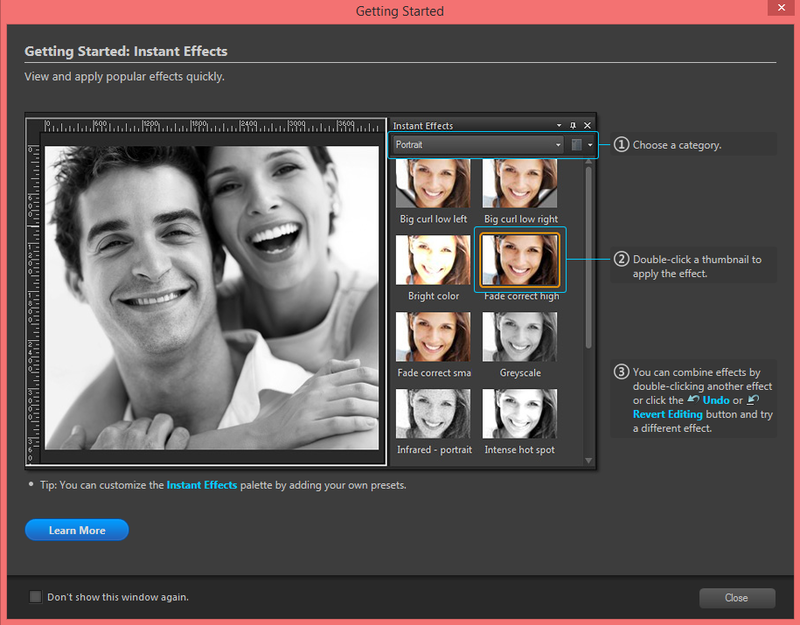 The program itself is very similar to Photoshop except with more accessible creative options! One of my favourite features is the instant effects! It’s kind of like preset Photoshop actions. There are lots to choose from! The one applied on the top photo was called Fade Correct Small, which added subtle blur and focusing and changed the colour balance to be more blue/cyan. 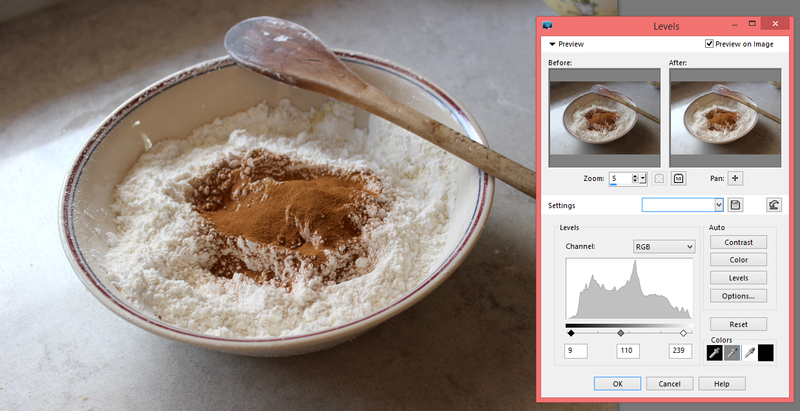 This is typically how I edit my photos anyway, so it’s convenient to be able to do it in one click! Now, let’s work on this photo! Like my other photos, I’m going to increase the contrast, up some of levels, and work with the curves. Looking much better, right? 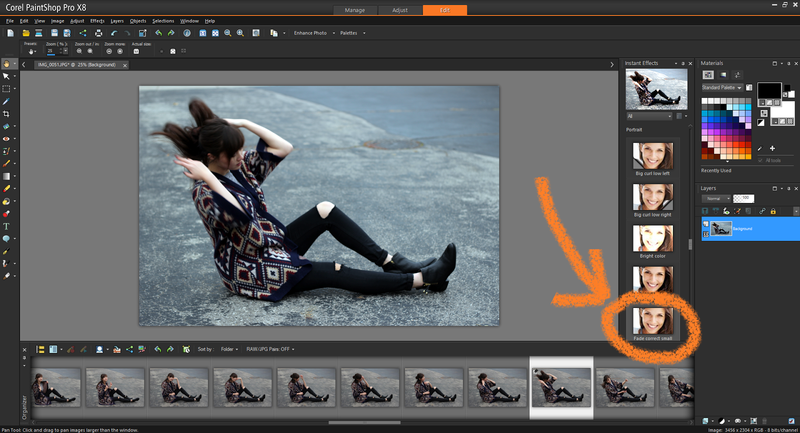 PaintShop Pro also has a one-step photo fix, or a smart photo fix which can put the unedited photos beside the work area so you can see your edits instantaneously! There are lots of other features which make it a great alternative to Photoshop! Definitely a blogger friendly program, and much cheaper than Photoshop! I don’t know about you, but I’m super impatient and I’d rather take photos than sit down and edit for hours… I want my photos to look good, but I hate editing! Paintshop X8 is a great solution! Have fun! Thanks for reading, and let me know what you think! 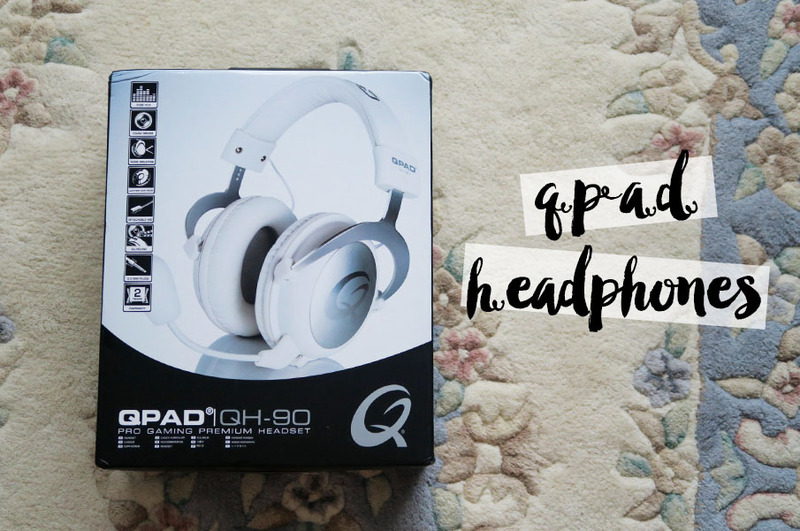 QPAD QH-90 – My Favourite Headphones!! A bit of a techy review today. 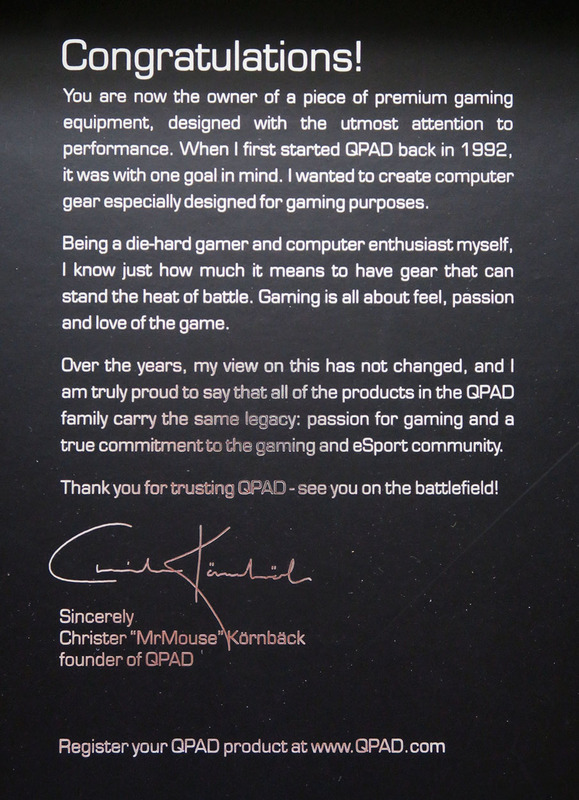 Early August, I posted about the death of my beloved QPAD headphones. 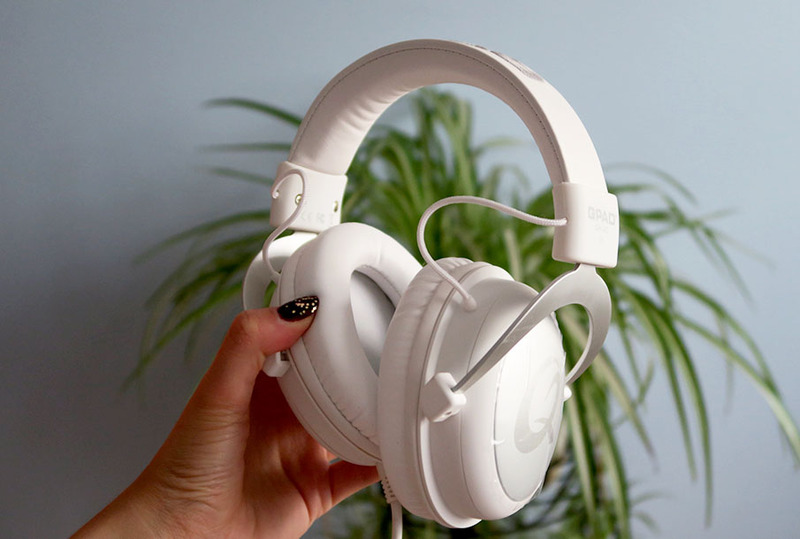 Basically, I absolutely love these headphones. They’re so comfortable, and I’ve gotten about two years of moderate usage out of them, including video/audio projects, listening to music, and gaming. I actually mentioned them in my August favourites video. My headphones were perfect until one of the earphones gave out. One of my more technologically savvy friends gave it a look and opened both headphones and part of the connecting cable which we thought was broken and we couldn’t find the issue. I figured it must have been from wear (even though I feel like these would have lasted longer than two years,) and decided that it was time to get another pair. Everything comes packaged snuggly inside the box. The padding is fitted, ensuring nothing slides around. 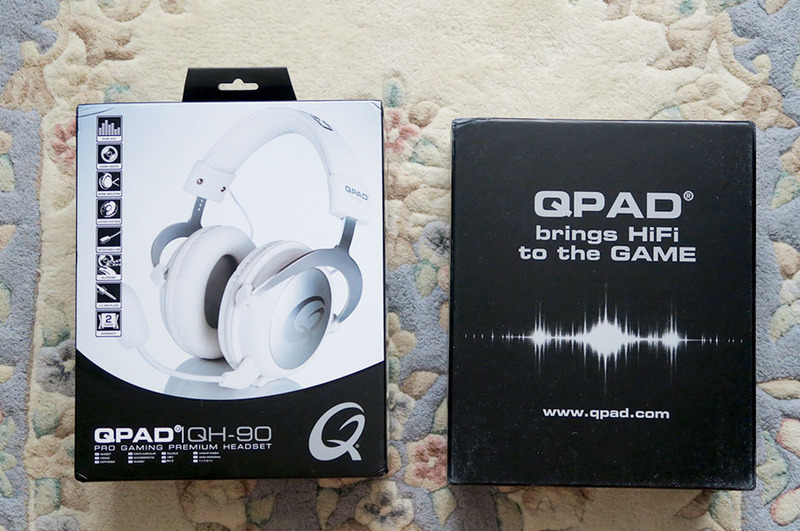 This is great because these headphone ship from Sweden and my box arrived looking quite battered. However, the equipment arrived safely and everything was in check! 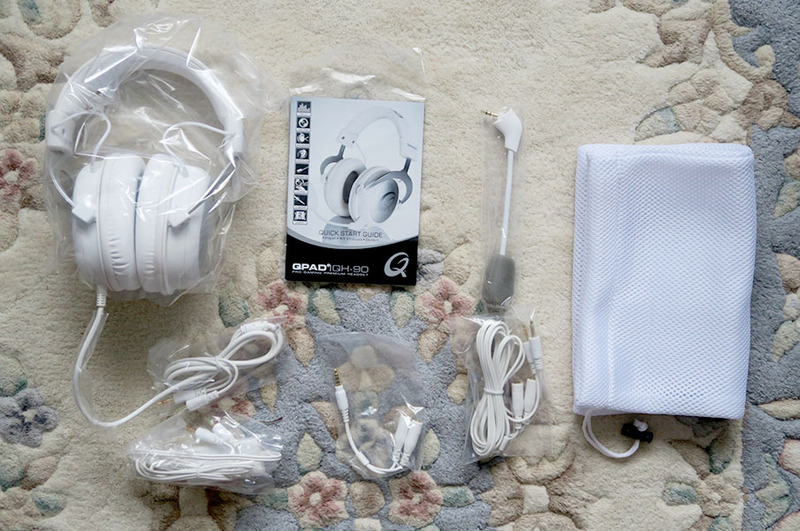 What’s included in the box: the headphones, an extension cable, a condenser cable which combines the audio and microphone ends into one jack, a detachable microphone, a cable with a volume adjustment box, and a quick start guide manual. Here are some of the specs! I’ll break these down for those of us that don’t understand the crazy audio jargon and just want a pair of comfortable headphones with fantastic audio quality. 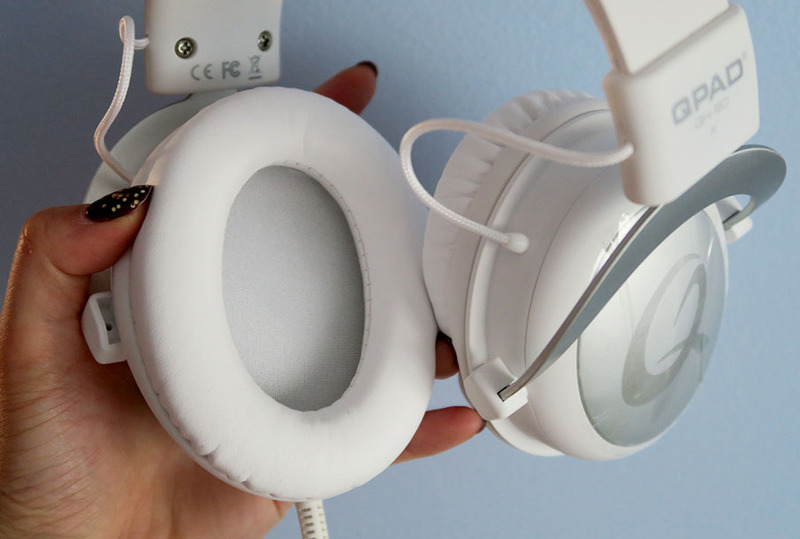 The headphones are circumaural, which means that the padding surrounds your entire ear instead of sitting on top of it. 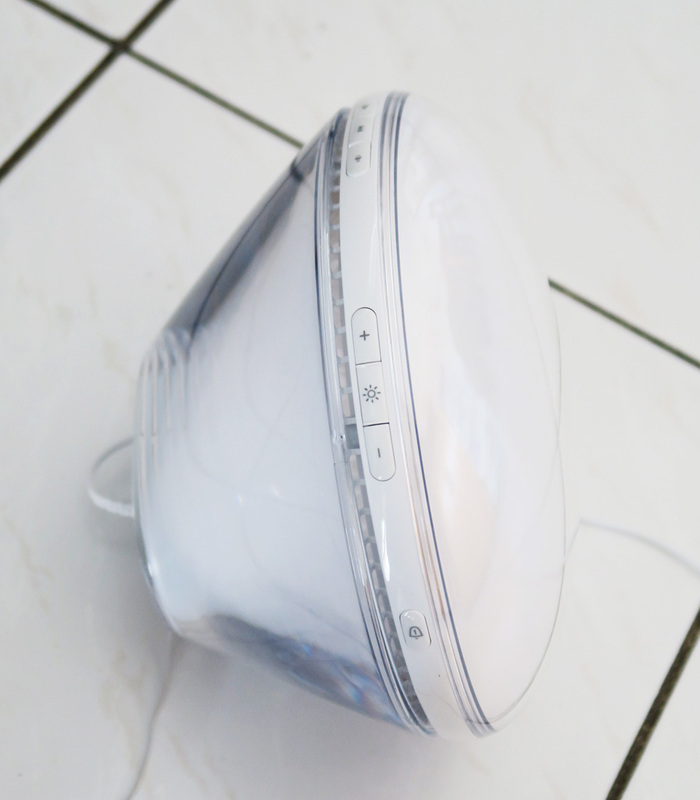 This ensures less sound leakage, and overall feels more comfortable. It’s got a detachable microphone in case you don’t want to use the built in microphone for gaming and don’t want it to get in your face. It also has super soft white leather padding! It’s nice to know that the company is super passionate about their products. Now, lets take a closer look at the headphones themselves…. The white design is lovely. If you’re worried about getting them dirty, my previous pair was alright. Obviously with anything white, you’ll have to think about staining or scuffing, but that can easily be fixed with a cloth! 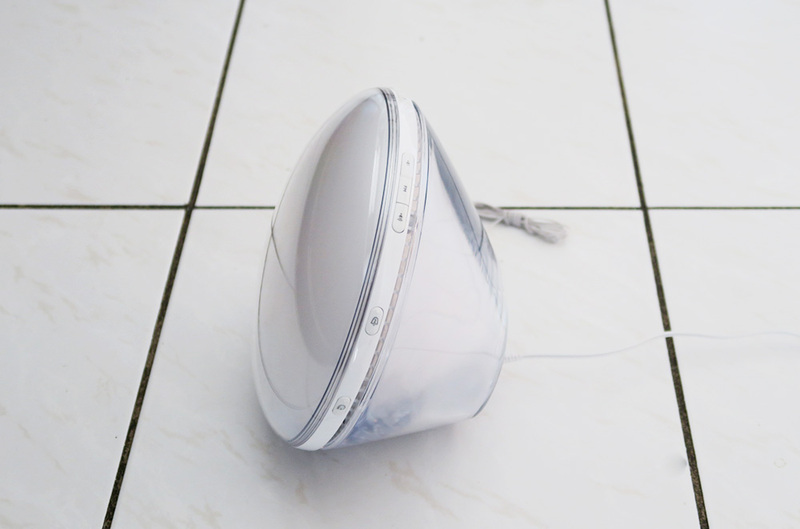 The ear padding can be taken off and washed or wiped down…easily re-attachable. It hooks right over the earphone cups. 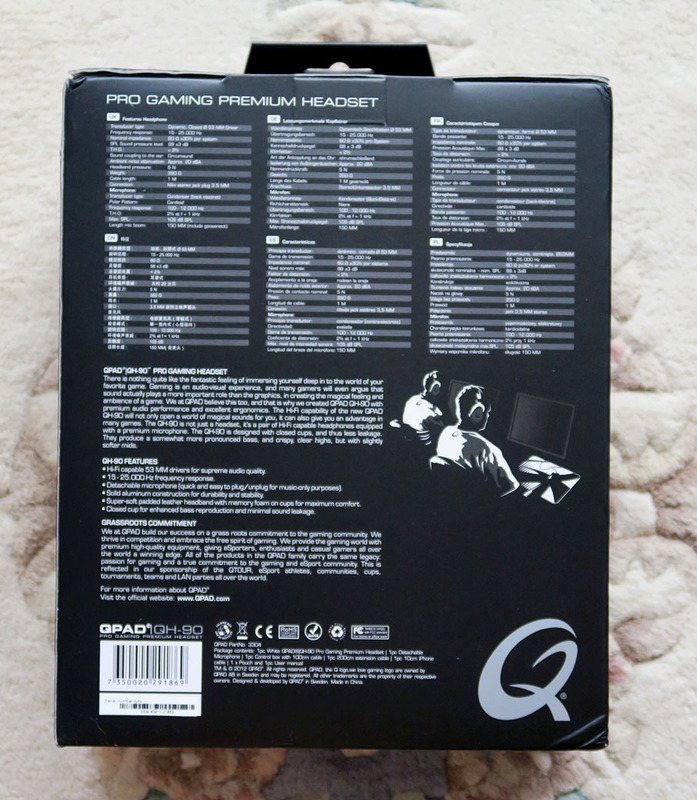 The headphones lengths are adjustable and can accommodate various head sizes! They fit me wonderfully and I have a giant melon head, lol….. 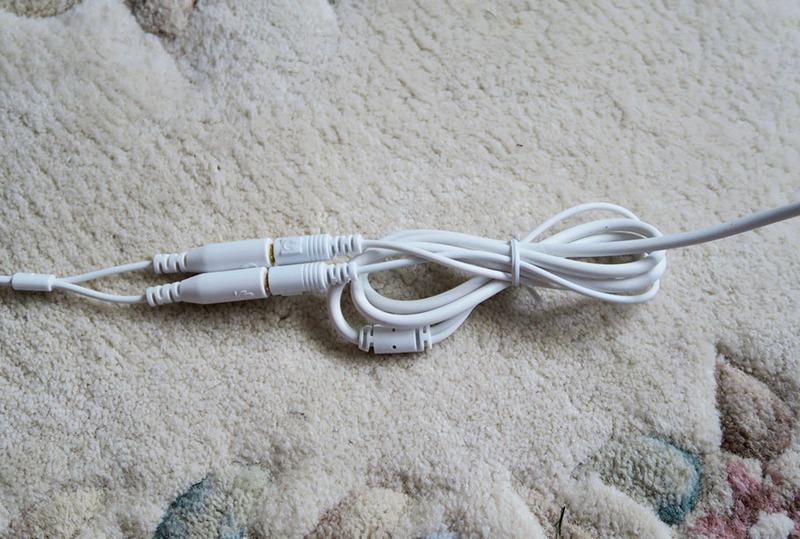 The extension cable is great for if the standard cable doesn’t reach your computer headphone jack. Overall, the design doesn’t feel bulky or heavy at all! It sits nicely on the ears. The design is sleek and elegant. 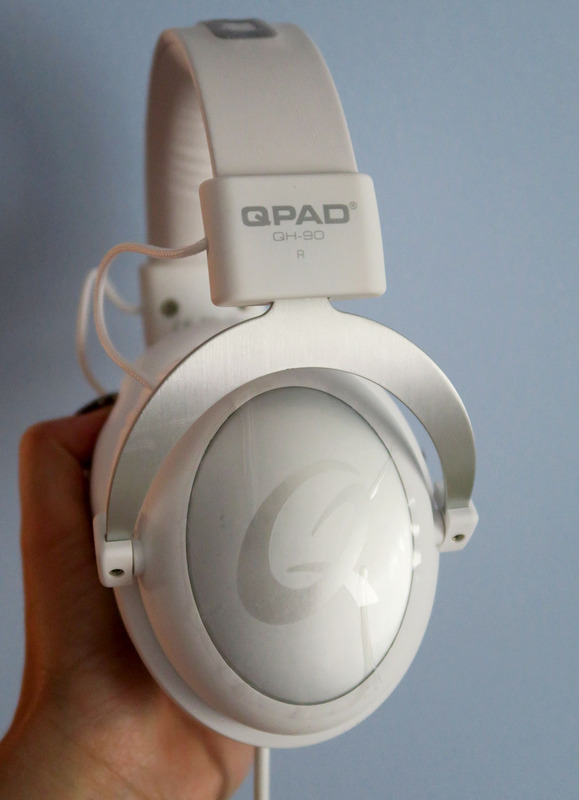 These headphones feel great and have great audio quality! I used these headphones for all of my audio projects in third and fourth year of university – they cover a range between 15-25.000 Hz frequency response, which is generally the standard for professional grade headphones. I believe they were about $125 (or 99€ with shipping included to Canada.) 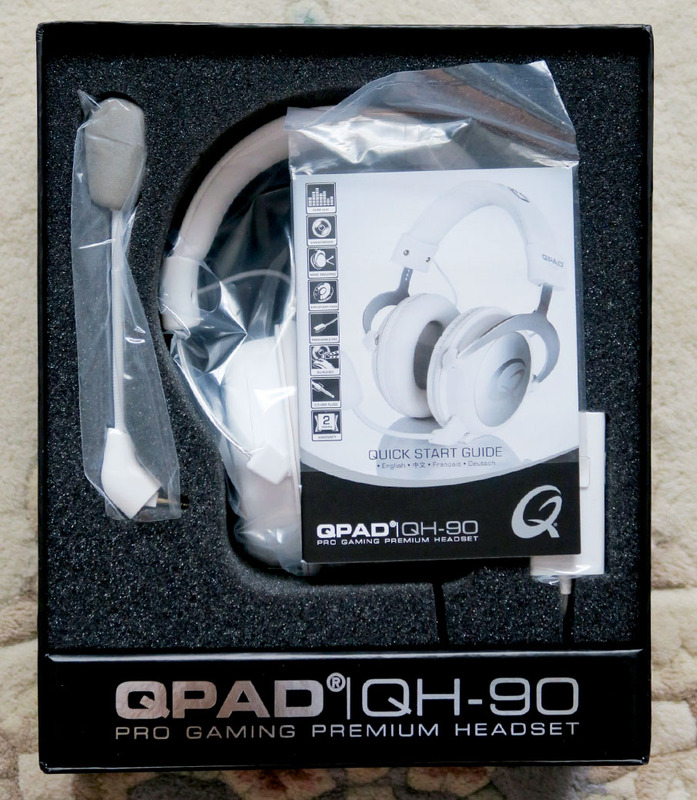 Less expensive than a lot of big gaming headphones out there but equally as nice! 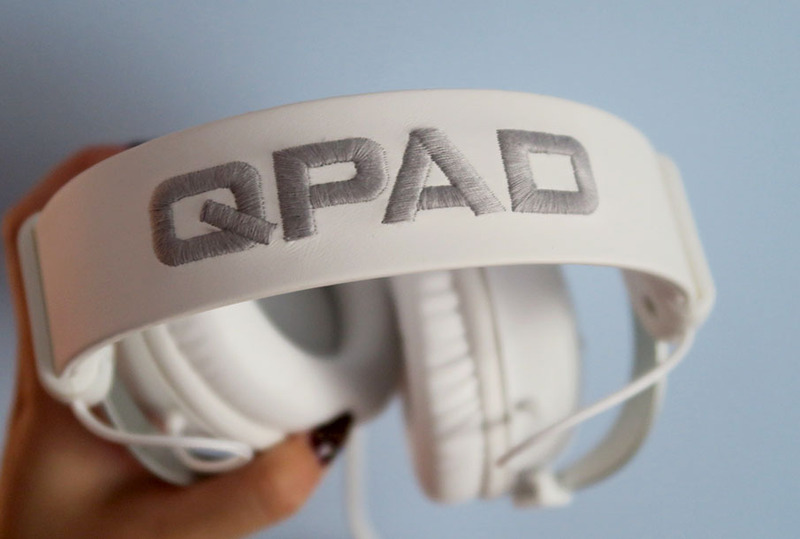 You can find them here and buy them on the QPAD store! What do you think about these headphones? Have you tried them before? Or rather, which headphones are you using at the moment?